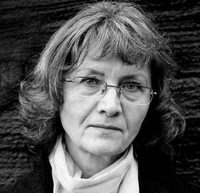 Translator Linda Coverdale holds a Ph.D. in French Studies from Johns Hopkins University and has translated over seventy books. A Chevalier de l'Ordre des Arts et des Lettres, she has won the 2004 International IMPAC Dublin Literary Award, the 2006 Scott Moncrieff Prize, and the French-American Foundation Translation Prize in both 1997 and 2008. She lives in Brooklyn.